America Revealed: Why Are the Feds Cultivating Their Own "Homegrown Terrorists"? The case is the second since Thanksgiving and one of many more over the past decade, in which the federal government has deployed informants to “catch” terrorists inside the country. 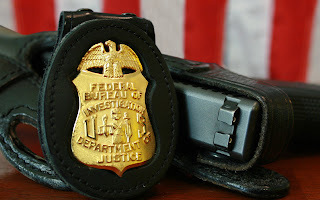 It’s all part of the FBI’s wider practice of targeting American Muslims—largely, according to some reports, Muslim converts as well as American born black Muslims. But far from stopping ongoing plots and interrupting “radicalization,” the FBI is fabricating plans, providing the tools to carry out attacks and inciting suspects to do so. “The case,” reports the AFP, bore a striking resemblance to that of a Somali-American arrested in Portland, Oregon, last month after trying to set off what he thought was an explosives-laden van parked near a Christmas tree ceremony.